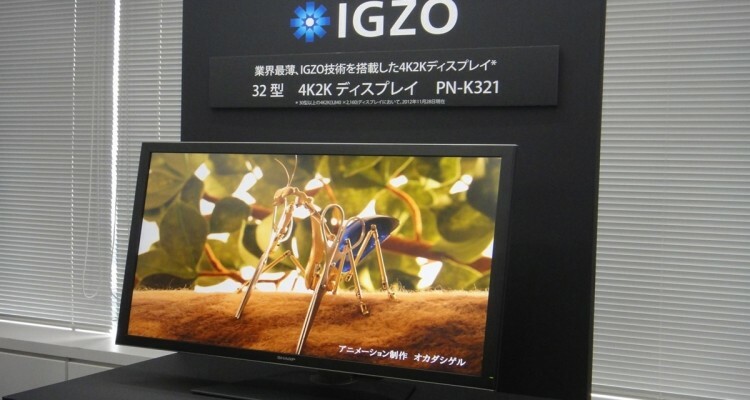 Sharp is moving forward with their notebook-minded IGZO LCD panel initiative at a steady pace and will begin production of three new panel sizes next month at the company’s Kameyama Plant No. 2. The corporation is ramping up to build 11.6-inch, 14-inch and 15.6-inch panels in addition to the 13.3-inch model (2,560 x 1,440 resolution) that’s already being mass produced. The smaller 11.6-inch panel will feature a resolution of 2,560 x 1,440 just like the 13.3-incher already in production. Due to the smaller size, however, it will carry a better overall pixel density of 253 PPI versus 221 PPI on the 13.3-inch unit. Sharp’s new 14-inch panel ups the ante even more with a resolution of 3,200 x 1,800 and a pixel density of 262 PPI. Finally, the 15.6-inch panel will carry the same 3,200 x 1,800 resolution as the 14-inch unit but with a slightly lower pixel density of 235 PPI. Based on all of that information, the 14-inch panel looks to be the best choice overall in terms of resolution and pixel density. Typically, panels that carry a higher PPI require brighter backlights to keep the screen illuminated at the same levels as lower PPI panels. A brighter backlight means more power draw, but that’s not the case here because Sharp’s IGZO technology enables smaller thin-film transistors and increased light transmittance. As an added bonus, the panels can also be used for touchscreen implementations which could be important moving forward given the recent shift towards hybrid notebooks and tablets.